In 2004, he graduated from the International Kazakh-Arab University in Shymkent. He received a degree in Religious Studies. In 2008, he graduated from Al-Azhar University, in Egypt, with a bachelor’s degree in Religious Studies. In 2016, he graduated from the University of Foreign Languages ​​and Business and Career in Almaty and received a master’s degree in «Religious Studies». 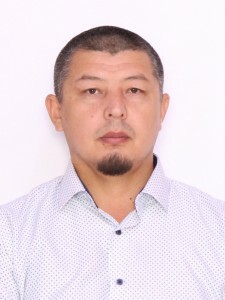 In 2018, he worked as a teacher in the department of philosophy and psychology in Karaganda State University in the field of religious studies. In 2018, she is a lecturer in the department of the SRS at the Karaganda State Technical University.